What clinical trials do small biotech companies need to perform, to get to proof of concept? Join us for our free lunch & seminar November 23rd. We are bringing together our experts in clinical drug development for a half day of learning. 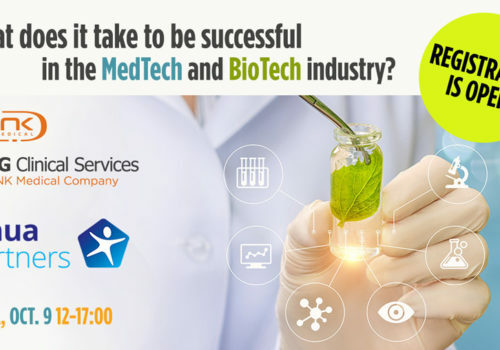 If you are a small biotech company and would like to learn more about how to navigate the transition from pre-clinical to clinical research & development, please register below. Reducing time to market and increasing the chances of a drug’s success are essential for pharmaceutical companies of all sizes, but especially small biotechs that may not have access to extensive capital. Asking the right questions is essential for small biotech companies approaching the clinical phase, that’s why our experts will address the whos, whats, where, whens, and hows of clinical research. Register below before our limited seating runs out. The exact agenda will be released soon. The full agenda will be released soon. Learn more about our speakers on our registration page.